At last I’ve completed my build. All work fine. I’ve made a ghetto case from some scrap shelves, not the best but I’ll make a better case later or buy a metal case from zthee. Not decided yet. Just needed to hold the TTSH in something to being able to calibrate and play it. 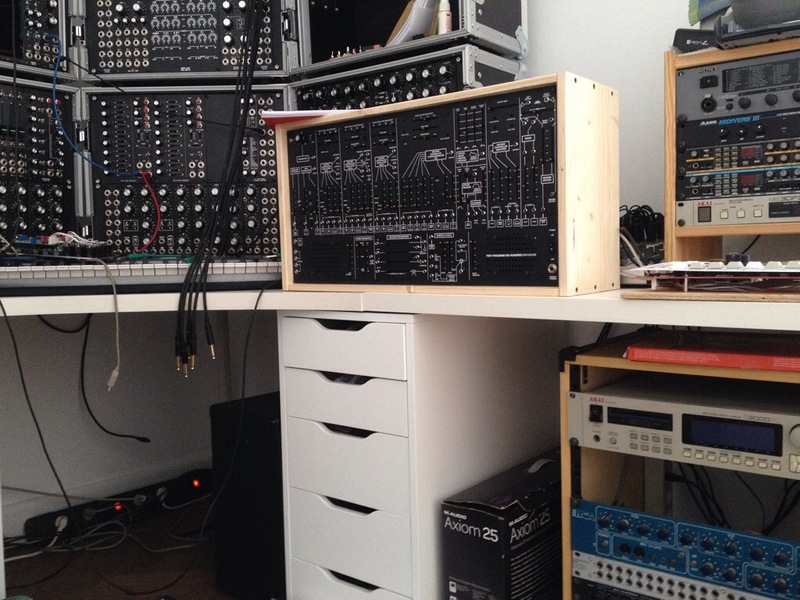 This entry was posted in sdiy and tagged 2600, ARP, case, TTSH on 18/05/2014 by Terence Hacke®. I also made a new cable that connects the main board and the input board but it’s not that either. Next plan is to change the two 2SC2878 responsible for the muting of the Mix-B channel. I read on a HiFi forum that when they fail they put DC in the audio path. Sounds like my problem…. So I ordered some and waiting again for delivery. – a dead channel on one of the voice boards. 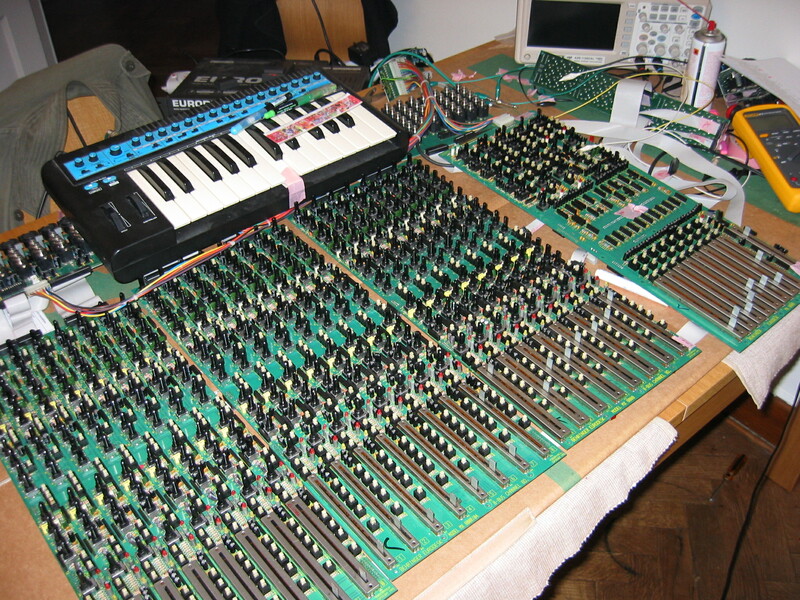 This entry was posted in Uncategorized and tagged MX8000, repair on 16/05/2014 by Terence Hacke®. 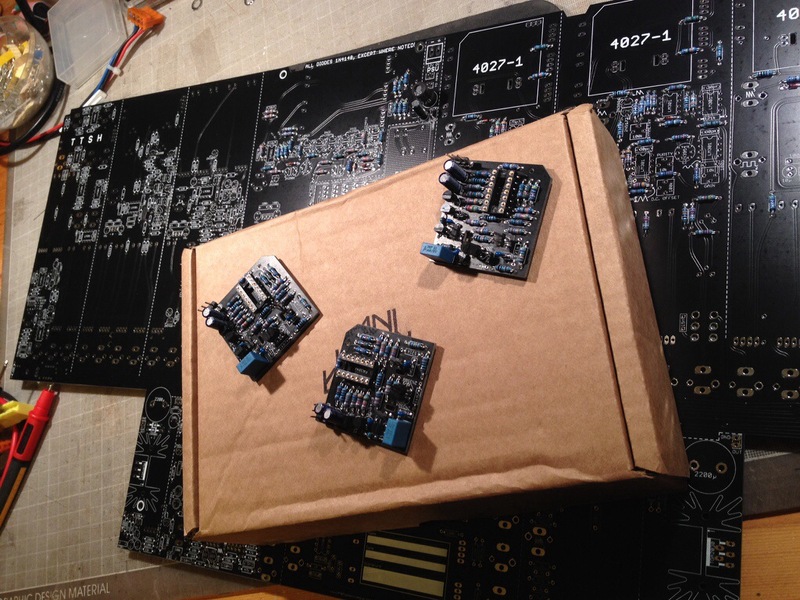 This entry was posted in Arp, sdiy and tagged 2600, ARP, sdiy on 01/05/2014 by Terence Hacke®.